The American rock band formed in 1979, releasing their self-titled debut album on 25th June 1980 on the Chrysalis Record label, although it failed to chart. However, commercial success wasn't too far away, and the band experienced a welcome breakthrough with the single Do You Believe In Love (released Jan 22nd 1982) which peaked at #7 in the band's home country. However, it would be 1985 before the song would chart here in the UK, reaching #9. The track was actually a cover version of a song by British band Supercharge. Written by the band's Zambian-born lead singer, Robert John "Mutt" Lange, the track featured on the album Body Rhythm in 1979. 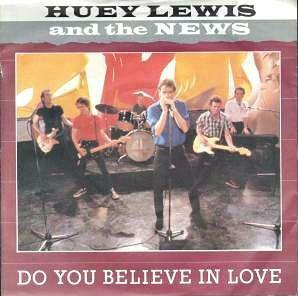 Do You Believe In Love featured on the band's second studio album Picture This. 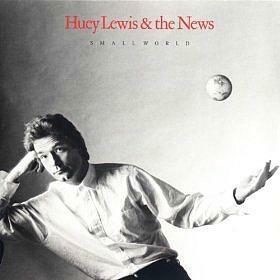 Released on January 29th 1982, the album was a success in the US, peaking at #13. Success appeared to on the wane, though, when the follow-up single Hope You Love Me Like You Say You Do could only manage #36 in the Billboard Hot 100, and the third single Workin' For A Livin' peaked outside the Top 40 at #41. 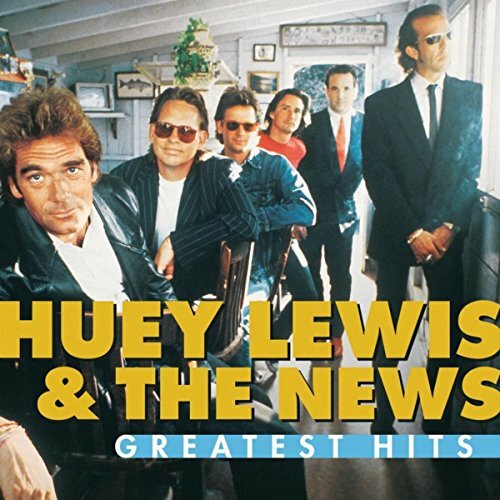 Huey Lewis re-recorded the song in 2007 as a duet with country singer Garth Brooks, and it featured on the latter's Ultimate Hits album, which meant that Lewis entered the Hot Country Songs chart (at #20) for the first time! After the modest success with Picture This, nobody could really have predicted the monumental success that the band would achieve with the third studio album, Sports. This self-produced album was released in September 1983, but it wasn't until June 1984 that it would finally top the Billboard Album Chart in the US, propelling the band to new heights of stardom. Sports achieved a diamond sales certificate in Canada, 7x Platinum in the United States, and was also an international success, although it only achieved gold here in the British Isles. 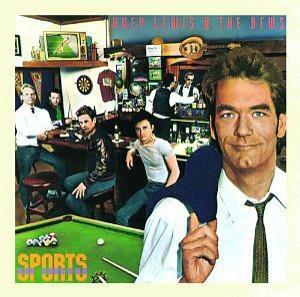 Sports is a slick-sounding album and crammed full of classic pop and rock tunes. It may be too smooth for some (the band sound pretty tight), but there's no doubting that this is an album of good old fashioned, feel good songs and is definitely an 80s classic. Heart And Soul (#8), I Want A New Drug (#6), The Heart Of Rock And Roll (#6), If This Is It (#6) and Walking On A Thin Line (#18). In the UK, the only song to break into the Top 40 was If This Is It, which peaked at #39. 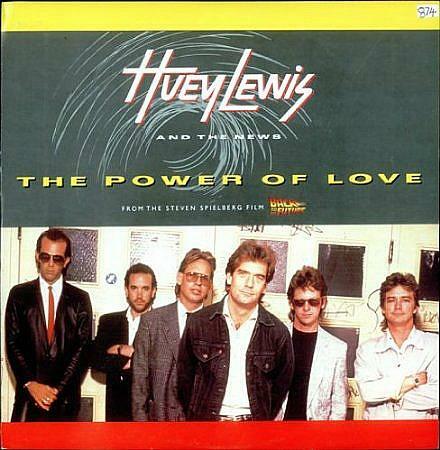 Released in July 1985, The Power Of Love single became of the band's biggest hits, reaching #11 in the UK and topping the charts in several countries including the U.S. 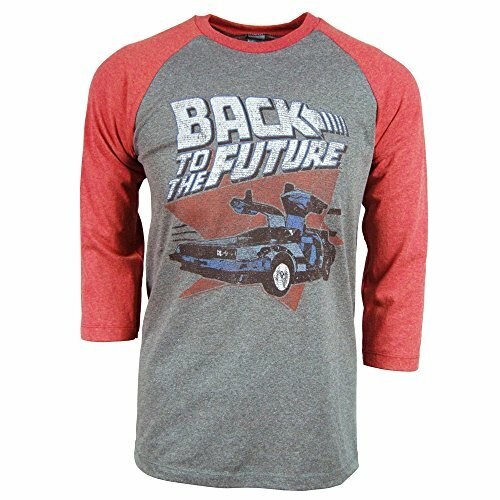 The song featured on the soundtrack to the Back To The Future movie, and in the UK, Europe and Japan it also featured on their album Fore! as track 8. During the mid eighties it seemed like everyone was releasing a song with the title The Power Of Love! Frankie Goes To Hollywood released their song first in December 1984, and Jennifer Rush released her tune during 1985 - the same year as Huey Lewis and his band. Of course, they were all entirely different songs, but all of them were highly successful and reached #1 in at least one country. 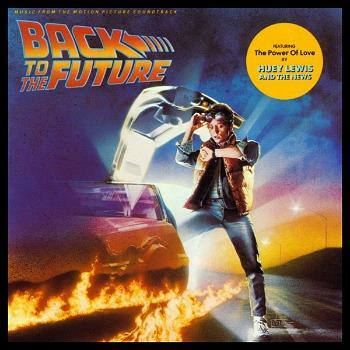 There were very few notable artists on the Back To The Future soundtrack, as many of the songs were performed by characters that appeared in the film, including the fictional band Marvin Berry and The Starlighters. However, it did feature a song by Eric Clapton entitled Heaven Is One Step Away. 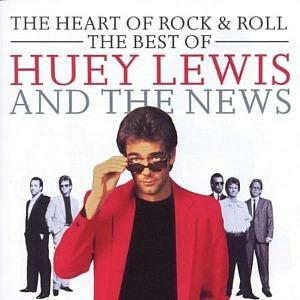 Huey Lewis also provided another track for the album, Back In Time, which can be heard near the end of the film and also in the credits. This was never released as a single, but reached No.3 on the Album Rock Chart in the US. Fore! is the album that was the most successful here in the UK, achieving 2x Platinum sales. Released in September 1986, the album didn't quite reach the dizzy heights of its predecessor, but, nonetheless, spawned another five hit singles and still gained 3x Platinum sales in the band's home country and in Canada. Chart positions are for the Billboard Hot 100. Fore! sounds very American, which is, perhaps, the reason the British didn't warm to the band. It has a very clean, polished sound and is packed with high quality songs. In fact, the album has a production quality that seems to be missing from a lot of today's music. If you like light rock and stylish pop then there is much to like here, but don't expect anything ground-breaking or innovative. The band didn't set out to push boundaries, but simply to create decent quality, melodic songs. 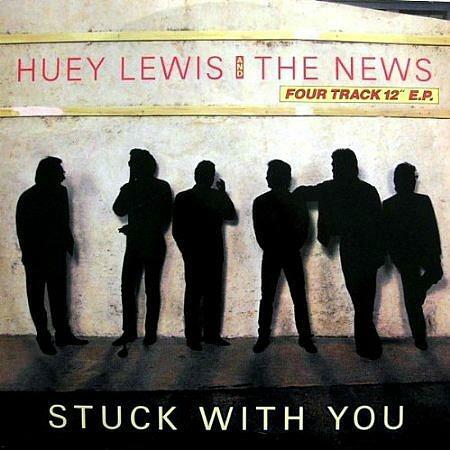 Released in 1986, Stuck With You was the first single from the album Fore! 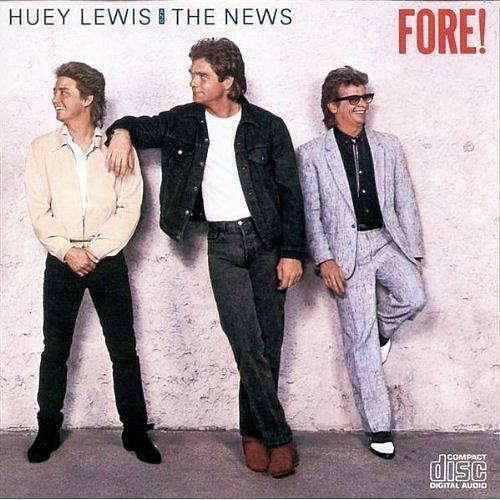 Written by Chris Hayes (Guitarist) and Huey Lewis (lead singer) it made #1 on the Billboard Hot 100 in the USA (where it stayed for three weeks) and #12 in the UK. The video (available in the playlist at the top of the page) was filmed in the Bahamas and features Keely Shaye Brosnan (formerly Keely Shaye Smith) an American journalist, author and TV host who is married to the dashing James Bond actor (and appalling Mamma Mia! singer) Pierce Brosnan. 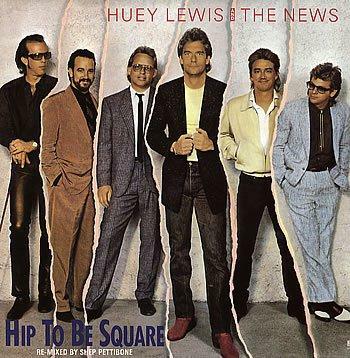 Hip To Be Square was the follow-up single to the U.S. chart-topper Stuck With You (reached #12 in the UK) and was the second and last track to be released as a single from the album Fore! The song reached #3 in America, but, surprisingly, only charted at #41 here in the UK despite plenty of airplay. The B-side featured the song Some Of My Lies Are True. If you're a Sesame Street fan then you may remember the song being used to on the show for education purposes, although it was re-titled Hip To Be A Square. Jacob's Ladder was written by Huey Lewis's friend Bruce Hornsby and his brother John. Bruce Hornsby later recorded his own version for his 1988 albums Scenes From The Southside. When the fifth single release from Fore! 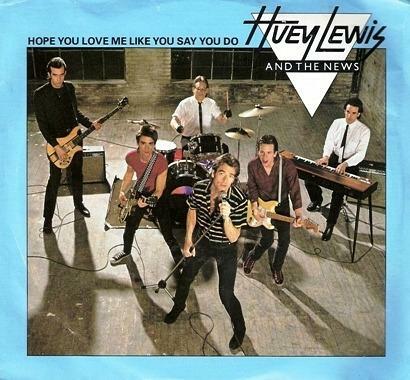 broke into the Top 10, Huey Lewis And The News became the first group to have five top-ten Hot 100 singles from one album in the US. In the horrifying video Huey appears as himself, Dr. Frankenstein, and a singing monster. The band's fifth studio album reached #12 in the UK (achieving Gold) and #11 in the US (achieving Platinum). Lead single, Perfect World, was the only release from the album to reach the top 10 in the US (it peaked at #48 in the UK). 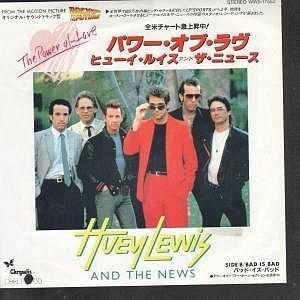 The song was penned by Alex Call who was previously a bandmate of Huey Lewis in Clover. Small World lacked the instant appeal and melodic hook of the previous two albums, but it has a more artistic feel, with the band having a more mature sound. The songs are more diverse and The News sound like they are simply belting out the songs that they have always wanted to play. This was now a band that had nothing left to prove, after all, although the critics couldn't wait to rip the album apart. Hmm, a bit more effort could've been made with the single sleeve which is simply a close-up of the album sleeve photo! I've still got this 17 track album on cassette and it's full of American rock classics. At the time, this music was quite a refreshing change from all the teeny pop stuff in the charts, and it's still an album I like to dig out and play out loud from time to time!